Download King Oxbow – “With You” mp3 now. 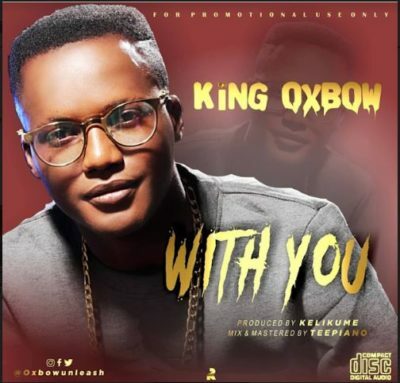 Download Music MP3 King Oxbow – “With You” right here. King Oxbow has been creating waves on the music scenes since he was a young boy and now he wants to wrap up the year with his new hit single- “With You” produced by Kelikume. This song is an anthem of positive reflection, hopefulness, joyous celebration and thanksgiving to usher in a New Year. Iwakun Idowu A.K.A King Oxbow has release other outstanding single Like “Ijo Ope” among other songs. Remember there is only one you. There is only one life. There is only one 2019 and There is only one God “With You” it will be glorious and fulfilling. NB: Please be aware that King Oxbow – “With You” is hosted outside this particular website as we host NO file. In case of any copyearight claim and request for take down, kindly use our 'contact us' page to put a notice across.